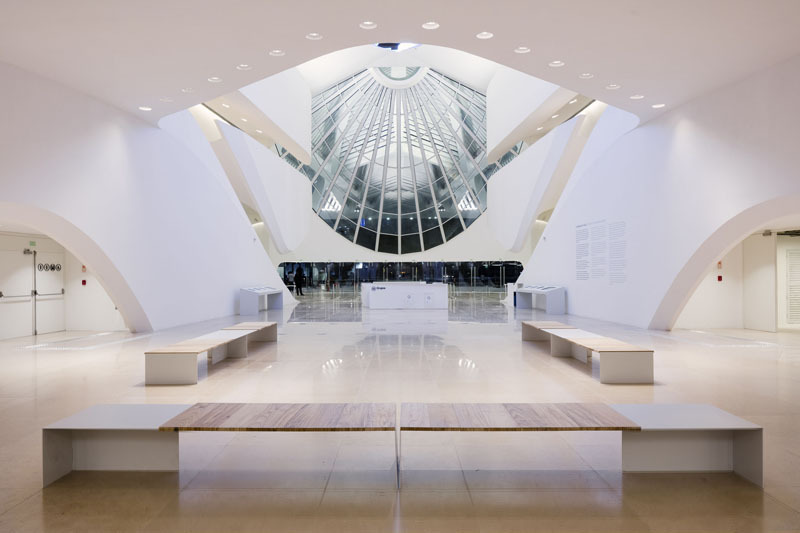 Seeking to fit the dynamic space of the museum, the idea of the bank arose in a way not to interfere in the architecture of the building and to configure itself as complementary element to the different environments. 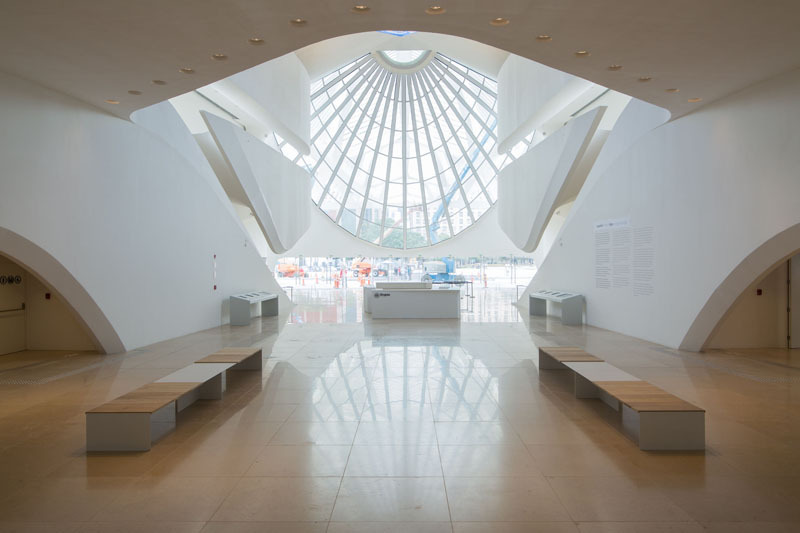 Given the needs of the museum program, the choice of materials of the bank was decisive since the beginning of the design due to the need to attend groups of up to eight people and because it is located in a port area where the sea air is very present. Within this context, the design of the bench was developed with the purpose of bringing lightness in counterpoint to the rigidity of the material. 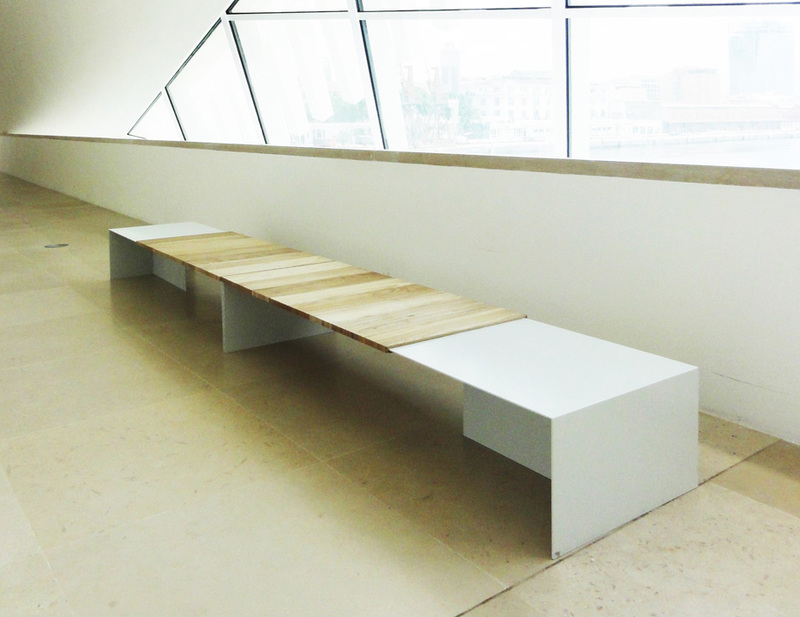 The bench can be used alone, alone, or in a group of two, and at each layout, the seat and seat of the bench form different designs that contribute to a creative environment. The bench runs on steel with a galvanized fire for greater strength, white electrostatic painting and seat in solid wood freijó.